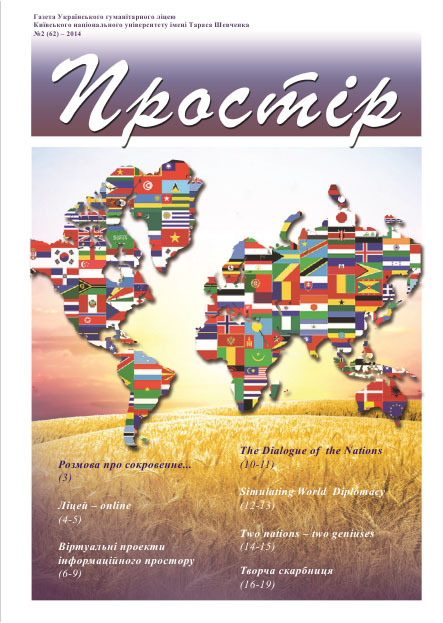 Prostir is the magazine of Ukrainian humanitarian lyceum of Taras Shevchenko Kyiv National University. The magazine was first published in April, 1999. Prostir gives the perfect opportunity for our students - future journalists and politicians - to realize themselves in writing. P — Pupil-oriented. 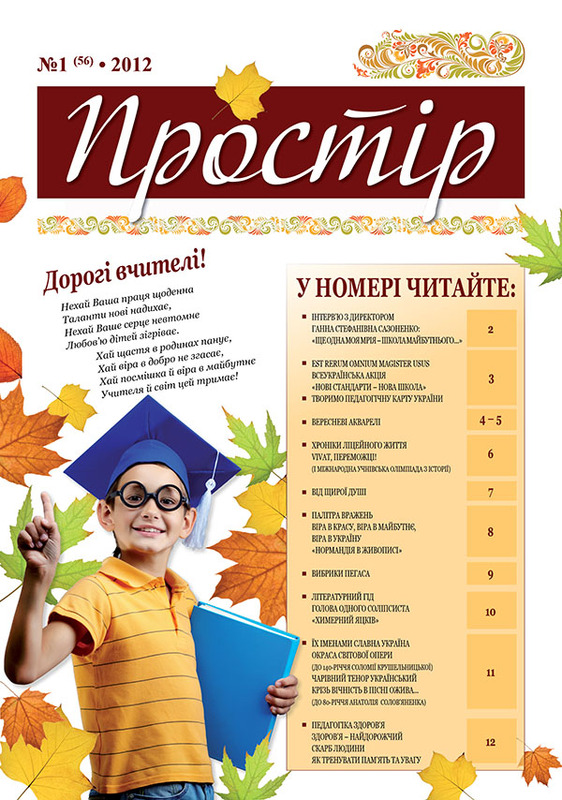 All the activities which are provided in our lyceum aim to develop pupils’ personality. Nastya Salnikova (the first editor of Prostir, young politologist) said that our lyceum had taught her ‘to be dynamic, dynamic and one more time dynamic, and to achieve the goal’.